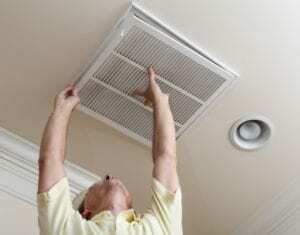 When you need A/C or heating repairs, you don’t want to run the risk of receiving poor service. You don’t have to worry about that when you choose Cote’s Mechanical to perform the HVAC repairs, installations, and other services at your home or business. Our company provides the best air conditioning and heating services in Trophy Club and the surrounding area. From energy-efficient HVAC system installation to emergency repair services after hours, we have you covered. Our technicians can be counted on to show up promptly at your home or business for all of your heating and cooling needs. Whether you need immediate repairs to your central air conditioning unit or a new heat pump or furnace installed, our team will be there for you. When your HVAC system is no longer able to heat or cool your home effectively, it’s time to get a new one installed. If your HVAC system isn’t turning on or isn’t running as it should, it’s time to have it repaired. At Cote’s Mechanical, we offer residential and commercial customers dependable A/C and heating systems installation and repair in Trophy Club. When you choose us to perform your HVAC services, you’ll receive high-quality service from properly licensed professionals. We also offer maintenance and replacement services. Whether you need worn-out equipment replaced or routine maintenance to keep your HVAC equipment in great shape, we’re here to help. Our team can make sure that your home or business is as warm or cool as you need it to be, all throughout the year. Homeowners and business owners throughout Trophy Club can rely on Cote’s Mechanical for professional HVAC repairs and installations. Since 2001, company co-owners Cote and Kristi Wyatt have worked hard to ensure that all customers in the area receive top-quality service when they need it. 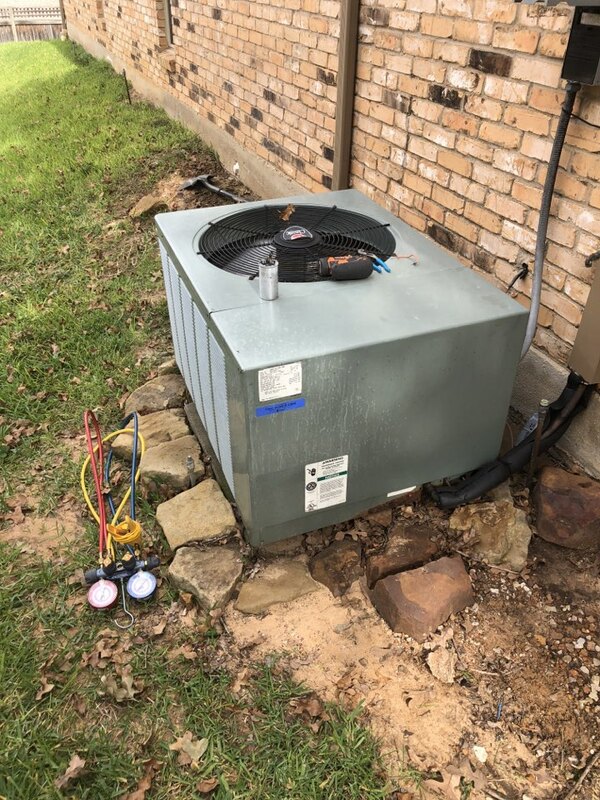 Our team of experienced and skilled HVAC technicians has impressed many customers with their strong commitment to providing outstanding service. Online reviews from past customers show that our technicians always show up on time and get repairs done as quickly as possible. Our technicians have received praise for their timeliness and friendliness, whether they’re handling emergency repairs or installing a new HVAC system. The top-notch service that we have provided customers with has not gone unnoticed. Angie’s List has given us their coveted Super Service Award, while the Air Conditioning Contractors of American (ACCA) has given us accreditation. We have also earned certification from Trane, an HVAC equipment manufacturer, as a Trane Comfort Specialist. To do so requires that we meet high standards of workmanship and customer service. The Better Business Bureau has also given Cote’s Mechanical an A+ rating – their highest rating of all. Those who live in the town of Trophy Club have an average household income of about $133,457. This is much higher than both the Texas average and the U.S. average of around $55,000 per household. These higher incomes in Trophy Club are needed for those who want to buy a home here. The average home price in town is $328,800, which is a lot more than the average home price in Texas of around $142,000 and the national average home price of around $184,000. Residents who love the outdoors have several places to go to in Trophy Club when the weather is pleasant. Harmony Park has a playground, pathways, tennis courts, and more, while Trophy Club Park provides recreational opportunities on Lake Grapevine, such as fishing, boating, and hiking. Residents can also beat the heat at Trophy Club Community Park’s Splash Pad. The town also features Freedom Dog Park for canine residents. There are also great dining options in this city, such as Bread Winners Cafe, which features delicious home-cooked foods and baked goods. Trophy Club residents who are looking for volunteer opportunities can join local Boards and Commissions, such as the Animal Shelter Advisory Board, Parks and Recreation Board, and the Crime Control and Prevention District. Looking for reliable, high-quality heating and cooling services in the Trophy Club area? 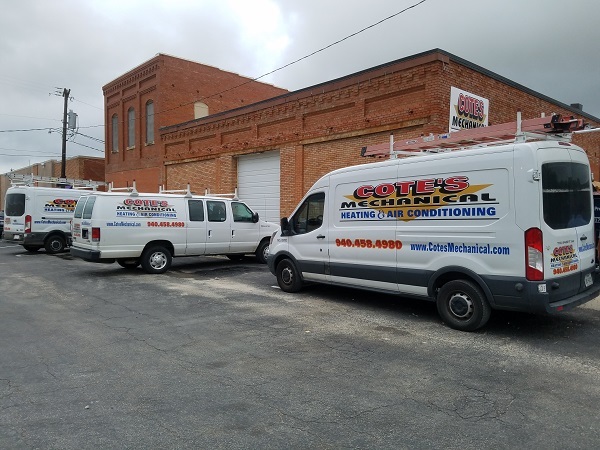 Contact Cote’s Mechanical today to schedule HVAC system installation, repair, or maintenance services at your home or business in Trophy Club. We’ll make sure that you stay comfortable in your home all year long. Excellent communication, timeliness, and honest employees! Blew drains out on this American standard air handler. Also strapped drain pan up properly to insure proper working and draining without causing damage to ceiling.